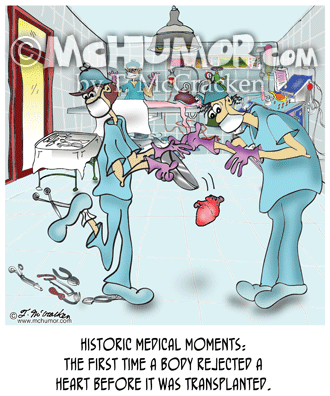 Surgery Cartoon 8592: "Historic Medical Moments: The first time a body rejected a heart before it was transplanted." 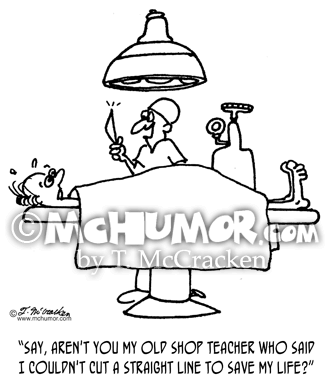 A surgeon drops a heart while taking it to the patient. 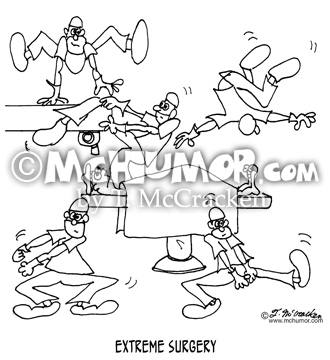 Medical Cartoon 7417: "Extreme Surgery." 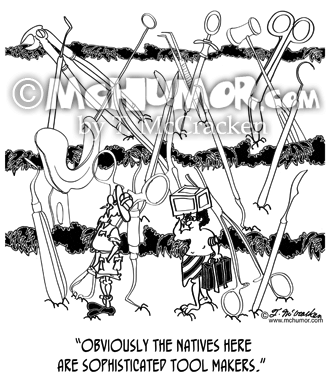 Surgeons work while doing skate board tricks. 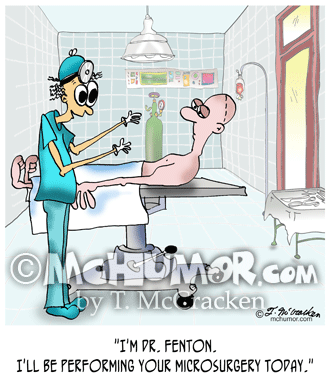 Surgery Cartoon 9369: A doctor with very-very tiny hands says to a patient on an operating table, "I'm Dr. Fenton. 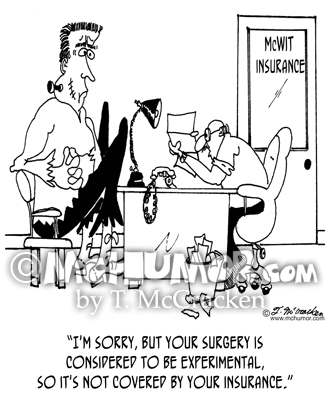 I'll be performing your microsurgery today." 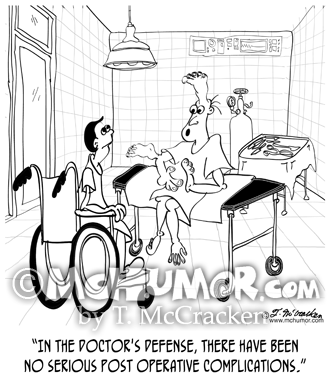 Recycling Cartoon 9265: In front of an operating room are three recycle bins: paper, cans, and organs. 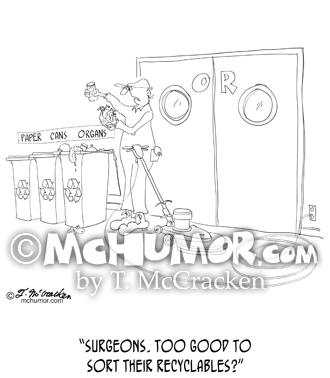 A janitor holding a heart and a can says, "Surgeons. 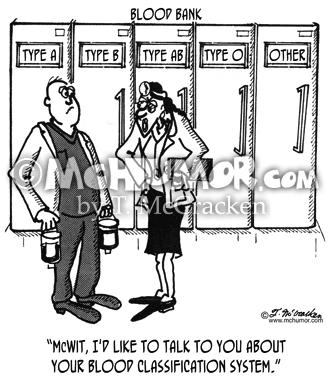 Too good to sort their recyclables?" 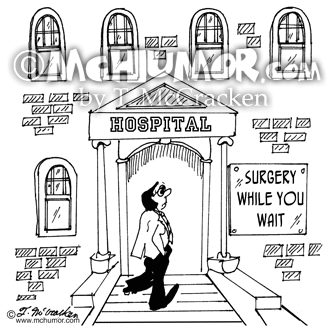 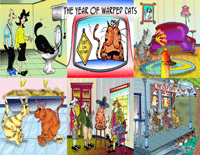 Hospital Cartoon 6986: A hospital with a sign, "Surgery While You Wait."